Hello loves! I know you’re all excited for the upcoming Bloggers United 3 as much as I do! To make things more exciting, I’m giving away 10 FREE PASSES to my lovely readers! DEADLINE: May 26, 2012 at 12mn. I need to forward the names by the 29th! Will announce the winners the next day. Goodluck and see you there! P.S. 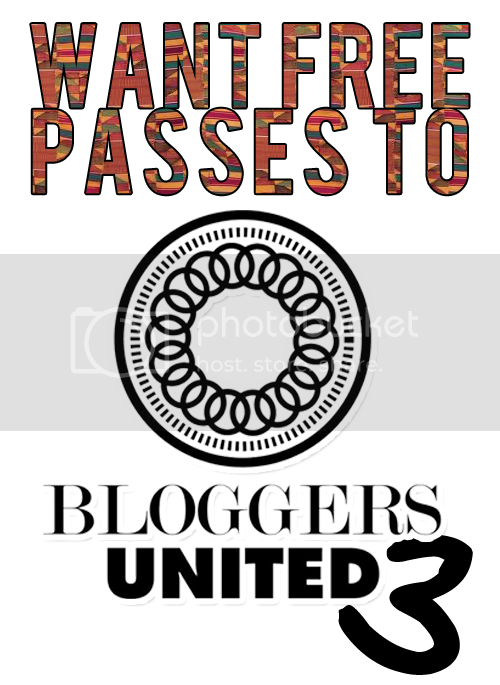 Thank you Bloggers United for the free passes!